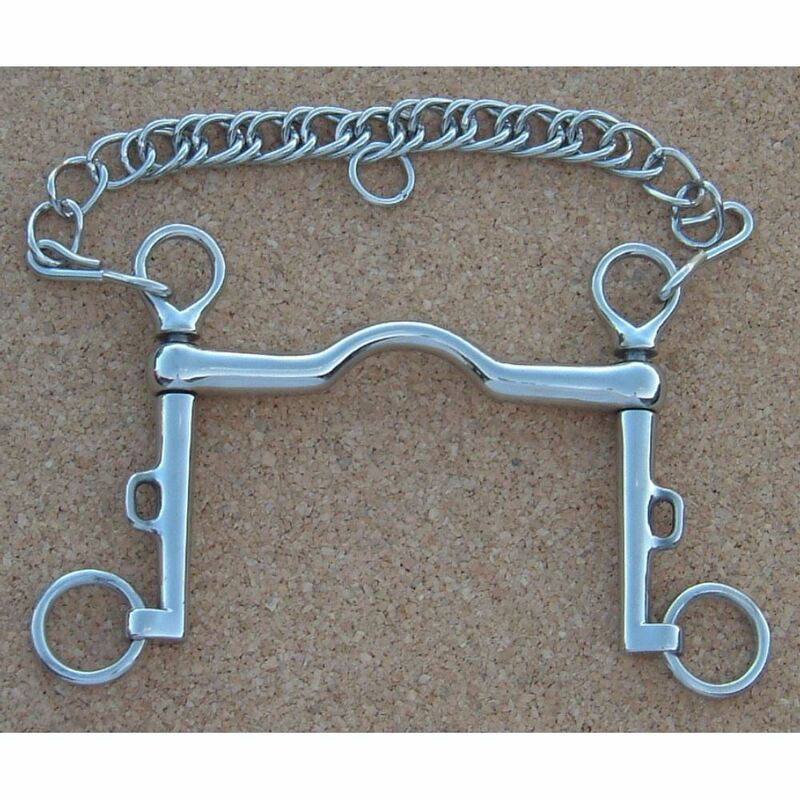 Please Choose Size 4 1/2" 5" 5 1/2" 6"
The Sliding cheek weymouth is a bit designed for use in a double bridle set and features a very low port giving space for the tongue, with no collapse on the bars and no real palate pressure. 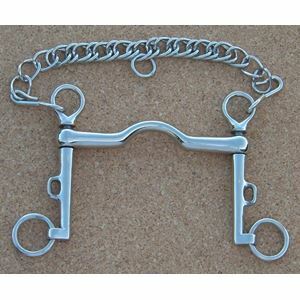 Being a thinner mouth, this weymouth bit is ideal for horses with small mouths and large tongues. The small hole in the shank just above the curb ring is for a lip strap, not essential but correct for showing and helps to keep the curb chain flat, the top of the bit is fluted out slightly to help prevent rubbing, and the sliding cheek is ideal for extra feel, but not so ideal for horses that have very thin skin as there is a small possibility they could get pinched if teh lips are small. Weymouth bits are normally bought in the same size as the horses usual bit, and fitted on the headpiece of a double bridle. The bradoon is selected either 1/4" or 1/2" larger than the weymouth and fitted to the sliphead of the weymouth bridle. The bradoon is fitted as a snaffle would be if used on its own, the weymouth then sits just below the bradoon in the horses mouth on a slightly longer cheek setting.